We have reviewed several other free antivirusâ€™s contained on live cds like Panda Safe CD and AVG Rescue CD. The concept is that the Dr. Web live cd starts before Windows Loads. One may ask why is this necessary. Download Dr. Web Live CD – Free Antivirus directly. Well, the first situation is that the computer is disabled by a virus. One cannot actually do anything on their Windows computer, let alone run a virus scan. This is probably because the virus or trojan is using a hundred percent CPU power and potentially using the target computer as a zombie machine. The next reason is for a really slow computer. Maybe the virus scan is simply too tedious to perform because in order to run a scan, Windows must load all of its background services, all of a users startups, and an antivirus with an expired subscription. A virus scan has to wrestle with these utilities competing for cpu and memory. Even more frustrating some free antivirus scans are automatically given lower priority than other background tasks. One more reason maybe that a virus has installed itself into hidden a partition or is using hundreds of locked files. Therefore, there are many reasons to use a bootable antivirus like Dr. Web Live CD. 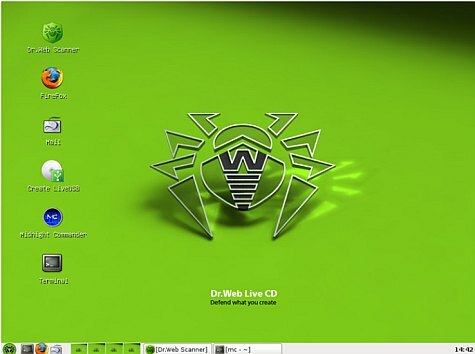 Dr Web Live CD, while not the best known brand, is extremely capable at detecting viruses and neutralizing them. In fact, the software received 100% detection rates by anti-malware test labs and is becoming more prevalent on global computing systems. The Dr. Web Live CD is compact at 136 megabytes but isnâ€™t as small as some of its competitors. One very advantageous thing with the Dr. Web Live CD is its extremely comprehensive manual. The manual 58 pages in size, is by far the best I have seen for a bootable antivirus. The manual explains how to create a usb flash drive with the DR. Web scanner and its built in usb drive creator, use the console version of the scanner, and how to use the graphical version of the scanner. The live CD also includes a built in update utility allowing for updates to be downloaded from within the Live CD GUI. The requirements for the Dr. Web Live CD are extremely conservative and a user only needs 128 megabytes of RAM and a basic Pentium or AMD processor. The Dr. Web Live CD also includes other useful programs built into the Live CD. 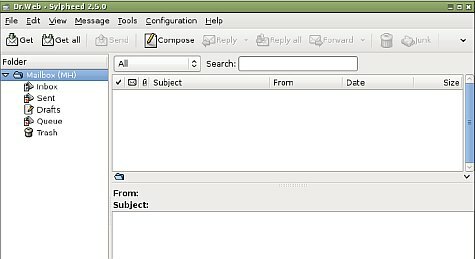 The first application is a full blown mail client so that a user can send mail even if the system is completely compromised. The next option is Midnight commander which can access NTFS file partitions to diagnose any problem with a Windows System. There is even an included text editor and terminal for advanced users. For users who are not savvy about computers and especially loading live cds, Dr. Web Live CD is an excellent choice because of its extensive documentation.